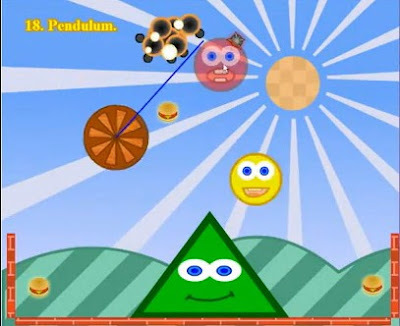 Hungry Shapes 2 is another physics based point and click game from ozdy. Satisfy the hunger of the hungry shapes by strategically stacking or moving them and taking advantage of the power of physics in each level. Feed all of the hungry shapes according to their color; 2 burgers for red, 1 for the yellow ones and none for the green ones. The game features entertaining yet challenging puzzles with progressively increasing difficulty. Anyways, if you need help on this one, you can see the HS2 Hungry Shapes 2 walkthrough showing all the solutions from level 1 to 30. Enjoy!